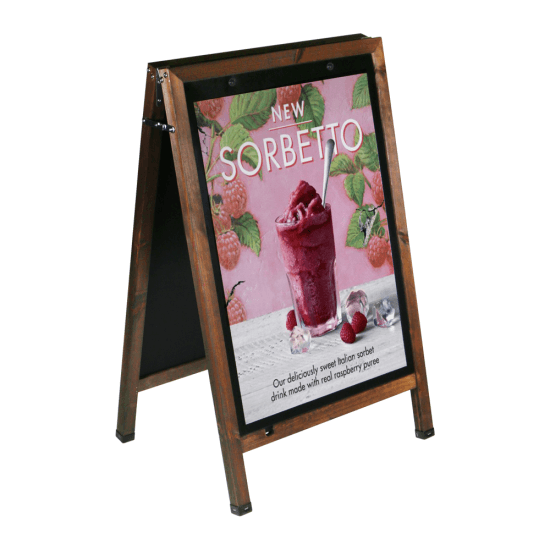 Introduce a Wooden A Board Poster Holder to your business to help increase your footfall and raise your brand recognition. 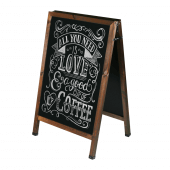 This multi-purpose board can be used to display chalk messages or printed posters to suit your preference. 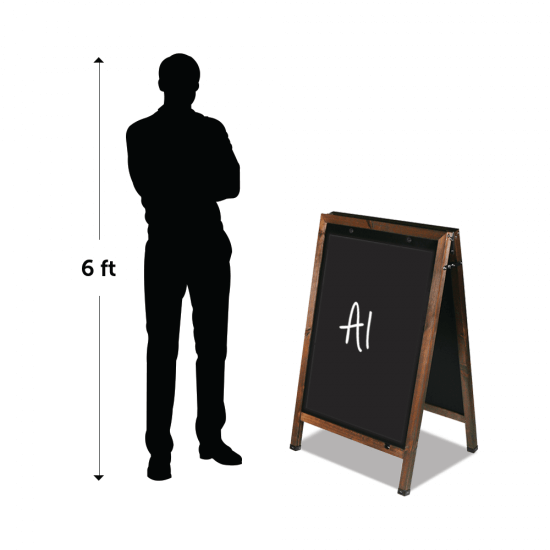 The A board weighs 15.5kg making it one of our heaviest in the range, ensuring it provides a sturdy display. 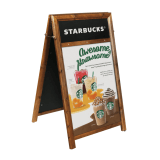 It also features protective hardened rubber foot covers to keep the sign firmly in place. Updating your posters couldn't be easier or quicker. 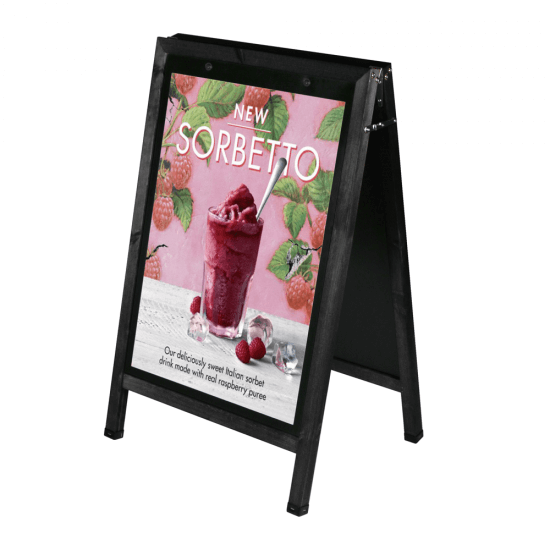 This is one of our wooden pavement signs that features a protective anti-glare, magnetic closure cover, this simply lifts from the bottom for your poster to slide in and out. 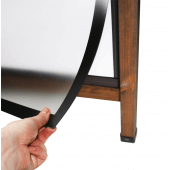 The poster is secured in place by the weight of the magnetic cover. 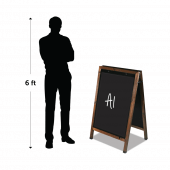 Can I use this as a chalkboard instead of with posters? 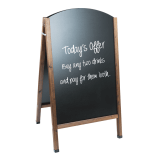 Yes, this versatile chalkboard pavement sign allows you to alternate between your chosen method. You can write on both sides of the board with our Liquid Chalk Pens or traditional chalk sticks to get creative with your board and update it regularly. 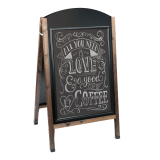 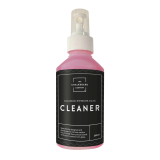 Our Liquid Chalk Pens become waterproof after just one hour. What colour is the board? 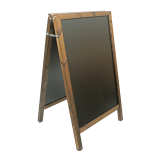 The board is manufactured from wood with a 40 x 40mm frame and finished with a dark oak stain for a classic yet rustic aesthetic, or it also comes in a more modern black painted finish. 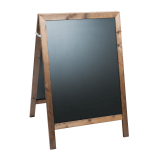 Yes, both your posters and your chalk display will be protected by the magnetic cover. The Wooden A Board Poster holder is designed to withstand normal weather conditions, but it may be affected by strong winds or adverse weather conditions. If you choose to use posters, we recommend printing onto semi rigid waterproof paper for best results. 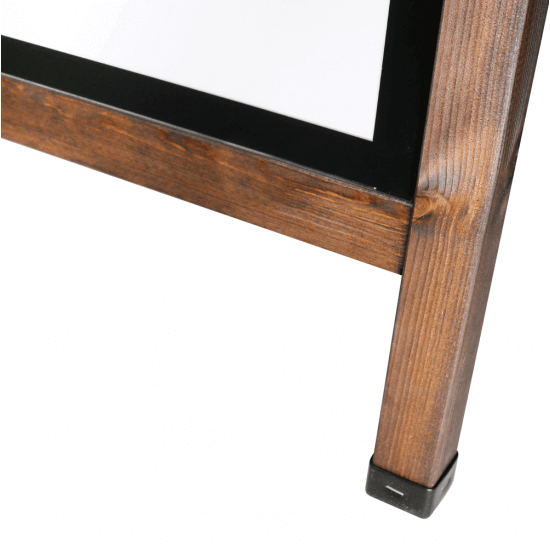 Does the board fold for storage? 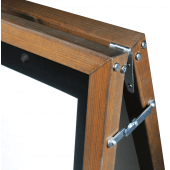 Yes, the board is designed with strong lockable hinges on either side to create a sturdy display which also folds in half for neat and compact storage and transport. 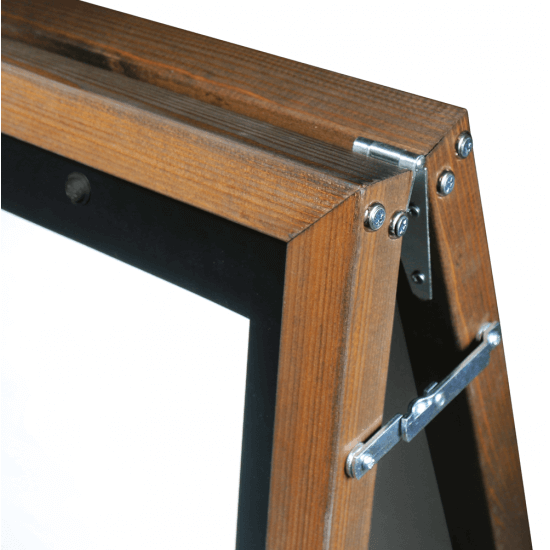 Due to the nature in which the cover is fixed to the A Board, it cannot be replaced.